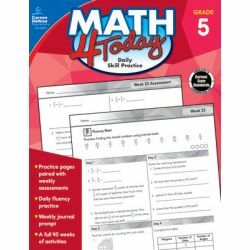 Math 4 Today for fifth grade provides 40 weeks of daily activities to strengthen math skills. The Math 4 Today book for fifth grade aligns with current state standards. 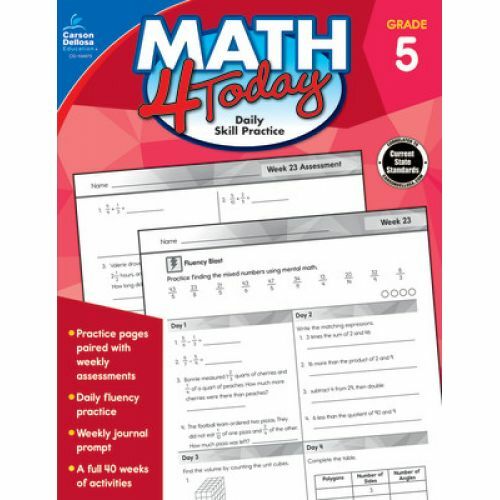 Math 4 Today: Daily Skill Practice for fifth grade provides 40 weeks of learning activities for each day of the week. This math workbook for students only requires 10 minutes of review and practice each day, and it includes fluency activities, reproducible activities, and writing prompts. An assessment of the skills covered for the week is provided for the fifth day to help teachers easily monitor progress.